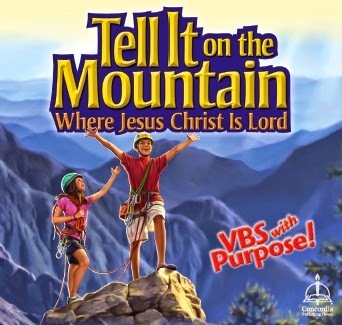 We will have our final setup for our Tell It on the Mountain Vacation Bible School on Saturday, July 20 at 9:00 a.m. in McLean Hall. We will supply donuts and drinks and should be done by noon. 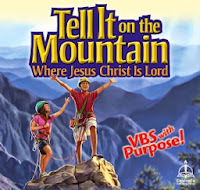 We begin with registration on Sunday, July 21 at 5:00 p.m. and V.B.S. runs Sunday - Thursday from 5:30 - 7:30 p.m. Join us!